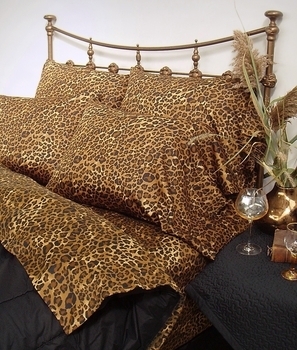 Home > Bedding > College Dorm Bedding > Wild Life XL Twin Sheet Sets by Scent-Sation, Inc.
Wild Life XL Twin Sheet Sets 100% Cotton by Scent-Sation, Inc.
Wild Life animal print XL twin sheets are 300 thread count 100% cotton. Each set includes: Top flat sheet, xl bottom fitted sheet and one standard pillowcase. Fits mattress depths up to 16". AURORA Snow White Down Comforter by Down Inc.